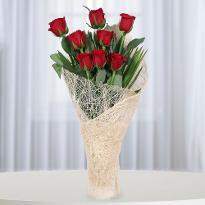 Our spirited bunch of flowers will surely be a perfect gift for your special someone. 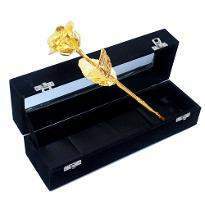 We have a premium collection of all those special moments like ‘I miss you’ or ‘I love you’ or ‘Thank you’. 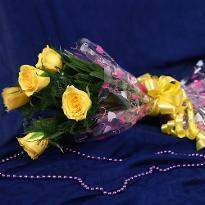 You can get online flowers delivery in Bhuj with our flawless delivery services that will make them feel simply out of the world. 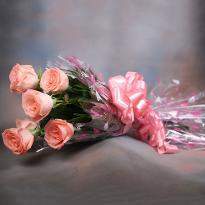 Sending flowers to the dear ones has always been considered as the best gesture of expressing love and care. 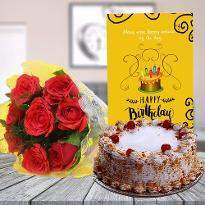 If have been trying your level best to convert your crush into your love but just don’t know how to do it, it’s time to send flowers to Bhuj where your crush reside and turn your crush into your permanent life partner. 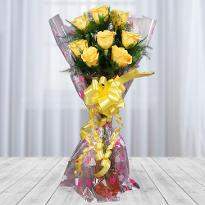 Any lucky lady would love to be surprised by a nice bunch of flowers. 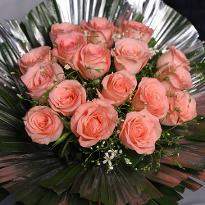 Flowers are a perfect symbol of emotions that you hold for the person you love. 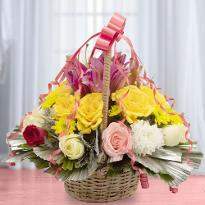 A bright arrangement of pink, red, white and yellow are sure to delight her. 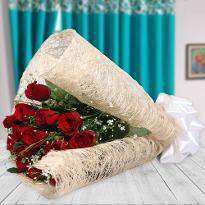 Flowers are plucked at the peak of the perfection so that when they reached the doorstep of you dear ones they look fresh, elegant and blooming. If you know anyone close to you residing at Bhuj and you are simply unable to express your emotions and love for them, now you have the option because Winni allows you to send flowers to Bhuj from any part of the world. Our flawless delivery service will really help your feelings to be expressed with ease. 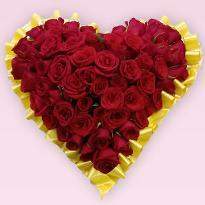 Even on Valentine Day you can send colorful Valentine flowers online from Winni and add romance to your relationship on Valentine Day. Winni has a huge collection of flowers including lilies, orchids, roses, carnations and gerberas. 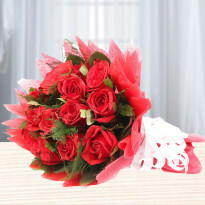 Now, you can simply choose the flowers of your choice and we will send it to your dear ones. We all know that flowers is the most impressive gifts of all the times because it actually helps to express the deepest level of emotions. 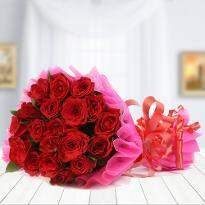 WInni gives you the flexibility to go for online flowers delivery. 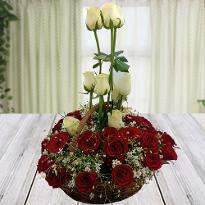 At Winni, you can get all varieties of flowers arrangments. 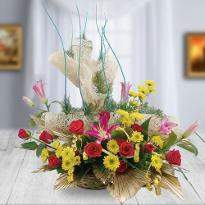 No matter what occasion it is, you can order bouquet from Winni at any point of time. Winni provides the fastest and prompt delivery. 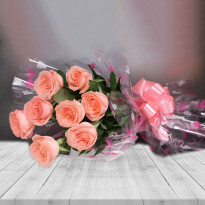 No matter what time you are placing the order, Winni is always ready to deliver the fresh and beautiful flowers to the doorstep of your dear one. 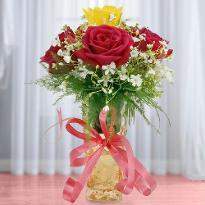 Flowers are the best gift for every special occasion or celebration. 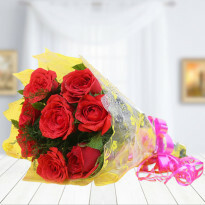 Buy fresh flowers online for your loved ones to make them feel extra special. Different colors of the flower have different symbolism and meanings. Winni provides same day delivery and that's a big plus. 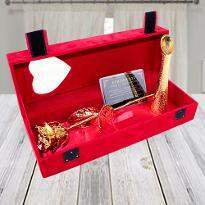 If you have just forgotten to purchase the gift for your special one and it's their special day, you can still manage it with Winni. 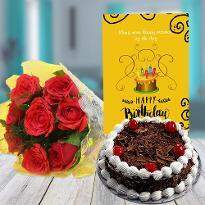 If it's the birthday of your special one and you want to surprise them at midnight, then go ahead with the online midnight delivery service. 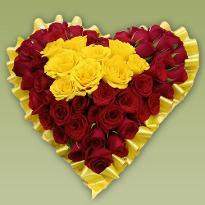 Winni is a renowned online florist store from where you can easily order and send flowers to Bhuj. 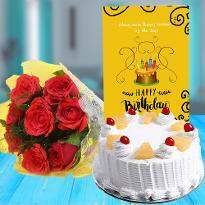 Apart from flowers, Winni also provides cakes, scented candles, teddy bear, sweets and many more gifting items. 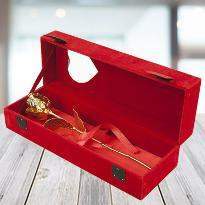 So, you can couples a bouquet of flowers with a wonderful gift too and send to delight your special ones. 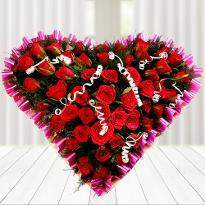 Winni provides hassle free delivery service in Bhuj so you can now send flowers and gifts to your beloved. Products in this category have been rated 4.9 out of 5 based on 223 reviews.